Abuja – Nigerian National Petroleum Corporation says that the ex-depot price of Premium Motor Spirit (PMS) also known as petrol remains N133.28 per litre. Mr Ndu Ughamadu, the NNPC Group Spokesman, disclosed this in an interview with the News Agency of Nigeria(NAN), in Abuja on Tuesday. He said that Nigerians should ignore any specualtions that pump price will soon increase. “The ex-depot price of PMS remains N133.28 per litre as at today and this is according to the Petroleum Products Pricing Regulatory Agency (PPPRA) template. “NNPC remains the sole importer of the product and we have not increased the price we sell to marketer. 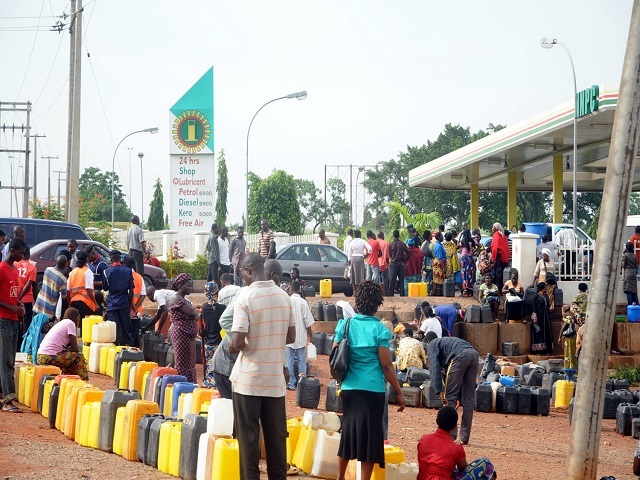 “There is no plan to increase pump price, Nigerians should know that,” he said.. He said that the corporation had robust stock pile of products that would last the country for several days, adding that there was no need to engage in panic buying. He said that the corporation over the weekend had strengthen the partnership with Major Oil Marketer Association of Nigeria (MOMAN) to ensure adequate supply of products in the country. 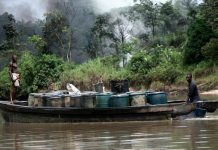 “We also told them not to increase price but if they engage in that, it is illegal and we have instructed the Department of Petroleum Resources (DPR) to sanction them. 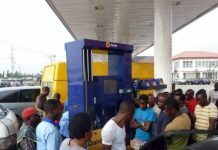 Members of the Independent Petroleum Marketers Association of Nigeria (IPMAN) had recently warned that the pump price of the PMS may sell above N145. The IPMAN Chairman of Ore Depot, Mr Shina Amoo, who gave this hint, added that the price of the product has increased at the private depot. According to him, the private depot owners now sell the product between N136.50 and N137 per litre instead of the former N133.28 per litre approved by the NNPC. Godwin Okafor is a Financial Journalist, Internet Social Entrepreneur and Founder of Naija247news Media Limited. He has over 16 years experience in financial journalism. His experience cuts across traditional and digital media. He started his journalism career at Business Day, Nigeria and founded Naija247news Media in 2010. Godwin holds a Bachelors degree in Industrial Relations and Personnel Management from the Lagos State University, Ojo, Lagos. He is an alumni of Lagos Business School and a Fellow of the University of Pennsylvania (Wharton Seminar for Business Journalists). Over the years, he has won a number of journalism awards. Godwin is the chairman of Emmerich Resources Limited, the publisher of Naija247news. Naija247news.com is an investigative news platform that tracks news on Nigerian Economy, Business, Politics, Financial and Africa and Global Economy.